The DaVinci Pro has everything you need to get reading, writing and more! 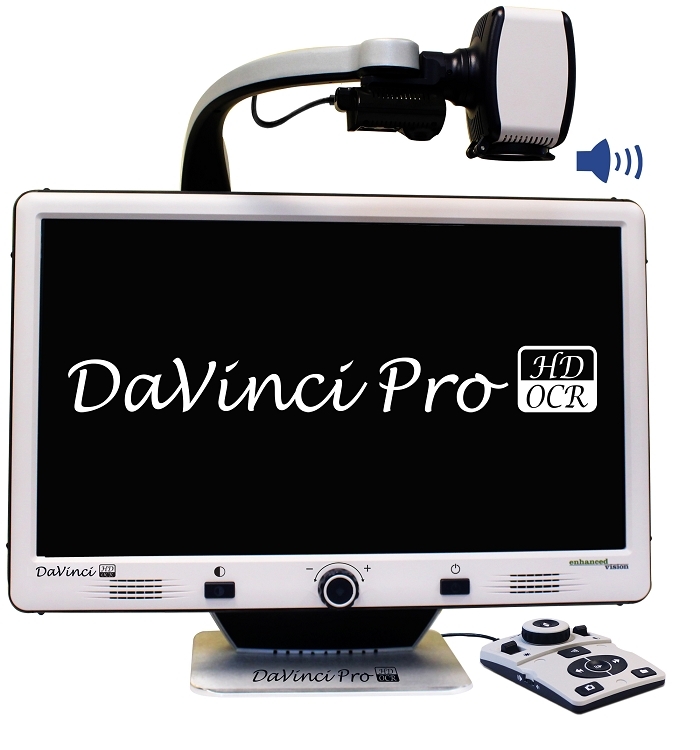 Featuring state of the art optics and OCR/TTS functionality, the DaVinci Pro can not only provide a crisp, high-definition image, but can also effortlessly read printed text aloud to you with the push of a button! Not only that, but the camera can be rotated to look toward you (self view), or into the distance, so you can check you've done your makeup or shaved properly, then point the camera out of the window to see the bird feeder. Whatever you want to do, the DaVinci Pro will be right there to help you.